This report presents an analysis and recommendations of business strategy for Sentilla Corporation, a small start-up within the emerging Green IT domain who focuses on data center energy management. We begin with an overview and background of the company, followed by an introduction to their products and primary technology. With this background understanding established, the report discusses life cycles and transitions affecting this business and the relevant technology, followed by an overview of the innovation trajectory for the technology at the heart of Sentilla’s new flagship product. This then leads into a look at diffusion and adoption patterns and what may be expected as their strategy unfolds. Next, the report presents an analysis of the business ecosystem within which Sentilla operates to understand its competitive and cooperative landscape, as well as trends that will shape its future. This is followed by a consideration of how Sentilla can create and then capture maximum value through strategic options. Finally, we conclude with a number of recommendations and options for Sentilla management to pursue across short, intermediate, and longer time horizons as they attempt to navigate the enterprise through the fast-paced, high-stakes environment of a technological business. Today’s data centers are the most powerful and energy guzzling ever – IT equipment is 20-50 times denser than it was 5 decades ago, with more hotter-running chips being squeezed into racks at data centers everyday. According to the US Environment Protection Agency (EPA)’s report to Congress on Server and Data Center Energy Efficiency, US data centers in 2006 consumed 61 billion kWh — which was roughly 1.6 percent of the total US electricity consumption — resulting in utility bills of $4.5 billion. The consumption in 2006 nearly doubled that of 2000, and under current efficiency trends, national energy consumption by data centers and servers will double again by 2011 as latest to more than 100 billion kWh. This, along with the peaking of energy prices, mandates energy efficiency at data centers. Sentilla, formerly known as Moteiv, was founded in 2003 by Joe Polastre, Cory Sharp and Rob Szewczyk, three graduates from UC Berkeley. Moteiv was best known as a pervasive-computing hardware company, making low-powered, radio enabled, and Java-based pervasive computers (so-called Motes) that can be programmed remotely. Moteiv also developed a pervasive-computing development kit and a software package for processing and managing data gathered with wireless sensor networks deployed with Moteiv motes. Until now, Sentilla has only limited success offering its devices and software as a general pervasive-computing platform. In September 2006, the company raised a first round of funding of $3.9m from Onset Ventures and Claremont Creek Ventures. Moteiv changed its name to Sentilla in late 2007 to reflect its shifting of focus from sensor hardware to pervasive computing application development in Java. Software and services became the main focus with energy management identified as a key area. The appointment the new CEO Bob Davis, former storage-business-unit VP of CA Inc, triggered a further review of Sentilla’ strategy. Energy management of data centers is now Sentilla’s mission. When they received the second round of funding in late 2008, the company faced a skeptical venture capital community asking for profitable companies and predictable revenue stream. After a venture capitalist suggested them to use their miniaturized computer technology for energy management, Sentilla became a CleanTech company overnight. In early 2009, Sentilla launched its first datacenter product, Sentilla Energy Manager for Data Centers, and received a second round VC funding totaled $7.5m from Onset and Claremont. They completely changed their vision from pervasive computing to energy efficiency, going from a technology push approach to an application oriented strategy. In the meantime, Sentilla established its first overseas office in the UK – signaling the beginning of its global expansion. 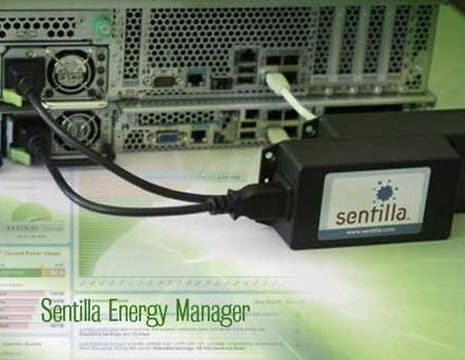 The Sentilla Energy Manager for Data Centers, the key offering of Sentilla Corporation targeting Green Data Centers, provides server-level, fine-granularity measurement and monitoring of energy consumption. These individual measures can be used to conduct server-level, rack-level as well as facility-level electricity analyses on when and where energy is consumed. Critical insight on detailed energy consumption allows IT staff to take proactive actions to avoid energy waste, fine;tune and optimize energy usage, and better handle load balancing. This goes beyond the conventional passive and reactive approach that often has sub-optimal energy consumption and load balance performance, and fuzzy information about details of energy consumption of IT equipment at data centers. Management Server — the host with decision framework, energy data and the web interface. Dashboard — the web;based graphical user interface that allows user interactions with the functional components. Gateway — the wireless access point that connects a PAU to the wired LAN infrastructure. PAU — an intelligent power strip that meters and analyzes energy consumption of individual IT equipment, with a microprocessor and embedded radio. Current and historical energy consumption information. Aggregate performance of individual or grouped equipment by customer or by server brand, allowing purchasing decisions to be made based on detailed billing information. Trend analysis including ranked charts of consumers and groups of equipment. Load balancing by setting thresholds for alerts on energy consumption levels and computational load to identify the health of equipment. Switching off idle equipment or combining the work of several computers onto one machine in order to reduce energy consumption. Verification of energy efficiency algorithms and evaluation of their monetary benefits. The Sentilla Energy Manager for Data Centers relies on Sentilla’s pervasive computing solution using tiny interconnected PAUs/motes to monitor and analyze energy consumption. PAUs serve as Sentilla’s pervasive computers. Essentially a miniature version of a PC, a pervasive computer consists of all major components typical to a PC, such as central processing unit (CPU), input and output devices (I/Os), wireless communications interface—the radio, and storage devices, etc. Besides its compact size, a pervasive computer typically runs on batteries, and has sensors and actuators to allow for monitoring and control. The mote/PAU has a four;layer architecture. Sentilla’s Java Virtual Machine (JVM) is built upon the Java ME platform. It is part of the firmware and runs on 8;bit and 16-bit micro controllers. It fits in a 48KB machine with only 10 KB of total RAM for the operating system and Java Heap. The energy management applications sit on top of the system binaries, with the mote hardware and the firmware providing the basic platform. 2002, Joseph Polastre deployed the first-ever autonomous network on Great Duck Island, ME. 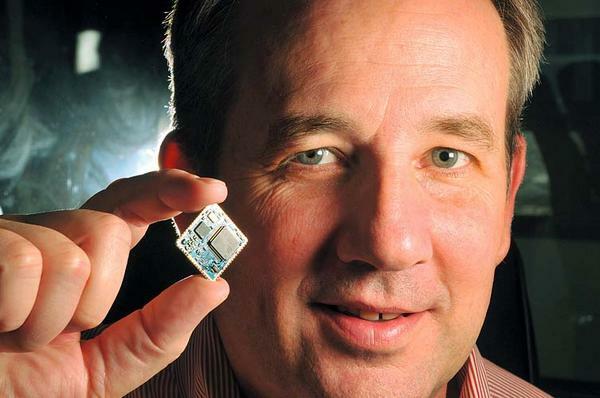 August 2004, Joseph Polastre, CTO of Moteiv (now Sentilla), co-authored “The Mote Revolution: Low Power Wireless Sensor Network Devices” for the Hot Chips Symposium on High Performance Chips. October 2005, Cory, Rob and Joseph of Moteiv started to work on a Java Virtual Machine on the mote, a 16-bit micro controller with only a few KB of RAM and a low power radio. October 2007, Sentilla announced the SentillaTM Software Suite, the first complete software platform for developing, deploying, integrating, and managing pervasive computing applications. November 2007, Sentilla published “A New Vision for Pervasive Computing” whitepaper. May 2008, Sentilla revealed its Perk Kit, a hardware and software development kit for building customized pervasive applications. May 2008, Sentilla won the prestigious Duke’s Choice Award at the JavaOne Developer Conference in the Pervasive Solutions category for its SentillaTM Mote. January 2009, Sentilla launched the SentillaTM Energy Manager. As of April 2009, Sentilla is widely recognized as one of frontrunners in the field of Java-based pervasive computing solutions for data center energy efficiency monitoring. As of mid-2009, the Java-based pervasive computing solution for data center energy efficiency is still clearly in its early ferment stage. Typical for this stage are emergences of lead users and early adopters with high payoffs and low switching costs. The business ecosystem has begun to populate with competitors, the decisive battles for leadership have begun, and an optimal architecture is under debate. However, a dominant design is yet to emerge, with which early mainstream usability and cost incentives will manifest themselves. Hence, the technology is still early in its lifecycle, and is in transition from Early Ferment to Emergence of Dominant Design. Faster data transfer rate of the radio interface. Wireless mesh networking capability with increasing range. As of 2009, Java is becoming the mainstream programming language for developing software applications on mote sensors. A state-of-the-art mote, such as the Sentilla Telos Rev.B in 2004, has very sophisticated architecture with multiple sensors, I/Os, network interface, controller, as well as programmable modules. A number of metrics can be used to gauge the performance of mote-based pervasive computing approaches to data center energy efficiency. Basically, three areas are of concern: energy consumption measurement, economics, and deployment. They each have qualitative and quantitative measures. Among these metrics, energy savings and long-term cost-effectiveness are the primary concerns, and therefore are the driving forces of accurate server-level energy consumption measurement solutions such as the Sentilla Energy Manager for Data Centers. An understanding of the implications of Geoffrey Moore’s Technology Adoption Lifecycle is required to properly perceive the challenges and opportunities that Sentilla’s technologies currently face in its adoption by different customer segments. This framework indicates the primary types of consumers, each having different expectations in a new technology and requiring unique approaches to properly ensure technological “buy-in”. There are technological adoption discontinuities that exist between consumer types, indicating radical differences in the requirements and expectations among different user groups. The implementation of a technology must address these new requirements and expectations to the satisfaction of the consumer type before technological adoption is able to continue. Additionally, each consumer type has a variety of customer segments or user groups representing different industries or backgrounds. If these customer segments are not in open collaboration, they must also be considered separately from one another due to the differences that may exist in technological adoption, needs, and expectations within that segment. While the demand opportunity is relatively limited for hardware without pre-programmed applications, there are customer segments that could utilize this technology to innovate in their own technological fields. Demand opportunity is focused on the ability of the Sentilla sensors/software packages to provide a multitude of “turn-key” packages that either meet a key need of a customer segment or provide an economical alternative to existing technologies in current use. A subset of the second source of demand opportunity, general trends of increasing energy utility costs combined with the current world-wide economic slowdown have brought the need for proactive energy conservation into the forefront of the economic policy of both government and industry. Demand opportunity for this special application of Sentilla’s sensors/software package is focused on the adaptability of Sentilla’s programmable wireless sensors, coupled with an application package that clearly presents accumulated energy utilization data and allows active control of devices to maximize energy conservation. A thorough assessment of all potential customer segments must be made to determine which technologies and customer segments should be pursued by Sentilla in future business strategies. Professor Clayton Christensen, the Robert and Jane Cizik Professor of Business Administration at the Harvard Business School, stated clearly that “This means that marketers need to understand the jobs that arise in customers’ lives for which their products might be hired.” These “jobs” often can involve general tasks that can be interrelated with other user groups and industries. Identification of these key “jobs” allows the technology to be tailored to meet the most important needs of the customer through the widest possible grouping. The most promising demand opportunity for Sentilla’s technology across the maximum amount of customer segments exists in offering a sensor/software package that has been pre-programmed for energy management applications. Data center administrators pose the user group that most exclusively needs only this single type of solution. As a result, if Sentilla were to offer only an energy management solution to this user group, it would be able to also offer a “turn-key” solution to their needs. The 2007 EPA Report to Congress on Server and Data Center Energy Efficiency clearly presents an industry need for greater energy efficiencies beyond what was being implemented by the IT industry. While additional optimization of current procedures and technologies would lower electricity use to 70%-75% of extrapolations of current energy efficiency trends, it will not be successful in averting a long-term surge in electricity use in the industry which could amount to a 40%-80% increase in electricity use by data centers by 2011. In order to avert this surge, new approaches to energy management that are innovative to those customer segments need to be adopted to maximize efficiency. Approximately 50% of energy utilization in a data center is in powering the actual servers. This concentration of energy waste in one location of the data center system architecture, combined with the extrapolated trends in data center energy utilization, represents a compelling need for the approximately 12,000 data centers currently in operation globally. Continuously increasing peak demand on data server operational capacity has increased both the individual capacity of server equipment and the density of installed servers. Energy utilization to both power and cool the equipment has increased accordingly. All corporations are investigating energy conservation measures due to the general trends of increasing energy utility rates, coupled with the increasing visibility of the importance of energy conservation to the general public. Sentilla’s Energy Manager Package presents an excellent “turn-key” solution to Data Center Administrators. The Wireless sensors will not disrupt existing data center cable trays and the analysis software provides interpretation and statistical analysis of readings. In order to leverage the increased awareness of energy conservation in industry, server manufacturers would be able to quickly integrate Sentilla’s Energy Manager sensor/application package into future server products. These manufacturers are able to use Sentilla’s sensors to effectively manage their own Cloud Computing efforts. End-User IT Administrators could use the application end of a package to monitor the operational state of their “leased” servers in the cloud. Installed sensors in workstations would allow IT administrators to supervise energy utilization throughout the network. While there are potentially additional markets for Sentilla’s Energy Management product, these markets present obstacles to Sentilla’s successful competitive entrance. The industrial sector is typically not as easily modularized as a data center and often contains integrated equipment and processes that do not easily interface with products from outside manufacturers. Public sector projects, often requiring assistance in implementing mandated energy conservation measures, require competitive bidding and long project timelines that are cost-prohibitive to a startup-company which does not have a large amount of capital. The energy efficiency industry, Sentilla’s new business ecosystem, is going through major evolutions and there is yet no dominant player. In order to survive and thrive, the company must develop innovative products that solve a need or problem for customers while executing strategies wisely to remain ahead of competitors who are vying for the same revenue. Meanwhile, they must find a way to position themselves within the hierarchy to capture a significant share of the value, rather than allowing the bulk of profits to be made by either component suppliers or customers. In order to properly understand Sentilla’s ecosystem, we first need to understand the IT energy efficiency and the role of energy monitoring within this industry. IT data centers have compelling energy efficiency needs, which can be addressed basically through two major strategies: hardware and software. While hardware energy efficiency refers to the reduction of energy consumption by datacenter physical components — software solutions — mainly virtualization — can be used to better allocate computing power through different software application and therefore reduce the hardware needed (and hence power). Energy monitoring is placed within the first group. Monitoring the energy consumption to propose actions that can reduce the energy consumption. As of mid-2009, Sentilla is focusing on the energy monitoring strategy. However there are several sub-strategies within this domain. Implement granular wireless energy monitoring solutions (such as the one offered by Sentilla) suitable for vendor-independent deployments. Sentilla’s ability to capture value will strongly depend on the relative power of the rest of the players within its industry. Given that Sentilla’s customers within the IT Datacenter market are large and medium datacenters, from a value capture perspective, they will potentially stand to obtain a significant portion of the savings generated by Sentilla’s solution. However, since the datacenter market is very fragmented (thousands of customers), Sentilla should be able to balance their relative power to keep margins high. Since Sentilla’s flagship product is software, the role of suppliers in the value chain is somewhat minimized. However, the Sentilla solution does depend on sensing units for data gathering, and these include various wireless, processor, electronic, and other components. From a value capture perspective, these suppliers are operating with largely commodity components and products with little specialty or differentiation. As a result, value capture by suppliers with these components is minimal. Sentilla has announced some partner initiatives with several other large members of the IT domain, including IBM, Cisco, SAP, and Sun. While these partnerships may assist Sentilla in leveraging certain opportunities and advantages, they need to be careful and balance their power. Sentilla needs to avoid becoming an OEM for server manufacturers to keep their margins high. Several other startups have recently entered the same customer segments Sentilla wishes to pursue. Moreover, given new green policies and probable future carbon cap and trade regulations, this domain is expected to become crowded by new companies. Power Assure’s technology is based on a dynamic adjustment of the number of servers for a certain application to match application demand, by turning them off and on based on the current load and defined policies. Despite this approach is most suited for large server clusters, they can be perceived as a threat to Sentilla since they go one step further. In addition to monitoring and recommending actions, Power Assure’s actually directly reduce customers’ power consumption. Cassatt’s Active Power Management technology is based on a policy engine that takes into account server priorities and needs in deciding when to power-down machines. As servers are needed again, it applies the same logic and priorities to power those servers back. Cassatt Active Power Management’s technology is very similar in its functioning to that of Power Assure Energy Efficiency and presents the same threats. Synapse’s LiveImaging 11 provides thermal, pressure differential, humidity and dew point mapping using real-time data at multiple levels of datacenter though several wireless sensors installed across the data center. As Sentilla’s solution, it is based on wireless sensors and includes energy consumption. However, it is more focused in temperature mapping and does not have Sentilla’s energy monitoring granularity. An interesting niche opportunity is presented by data center service providers. Telecom and IT service companies typically rent rack space to end customers bundled together with value added services such as 7X24 monitoring, managed services and Internet connections. Given the dynamic nature of those data centers, they typically need very modular solutions compatible with any type of equipment. Sentilla’s datacenter product is very well suited for this niche market. The dominant players in the industry are large hardware manufacturers such as HP, IBM and Sun. With demand opportunity arising and recently increasing rapidly due to social, political, and economic factors, Sentilla faces a window of opportunity to take advantage of these new market trends. There is a need for Sentilla to act swiftly. If they wait too long, other competitors will quickly capitalize on these opportunities and block them from the market. The current implementation of the Energy Manager provides data and statistics to the user/customer (a data center manager) but effectively stops there. Even if the data is clearly understood, it still requires potentially significant implementation efforts—such as powering down servers—to realize actual savings. Managers may therefore be reluctant to undertake such actions, and may also need additional third-party products and services to assist with the project. From Sentilla’s perspective, this may leave potential value on the table for other ecosystem players to take. Given the dominant role large hardware manufactures play in this ecosystem, working with them as a component supplier may quickly increase Sentilla’s market share. However, in the long term this move will affect the value captured given asymmetric power balances. The chances of being able to keep high margins will increase by directly commercializing their products to datacenter managers. Some additional value can be created by developing multi-tenant solutions for data center service providers. By enabling them to offer energy monitoring services to their end-customers using the same platform, Sentilla value proposition is moving from cost reduction to new revenue generation. Several players in the energy efficiency industry are basing their business model in revenue share models. The customer receives the new product free of charge, only sharing part of the energy savings. However, this strategy incurs high support costs by requiring very detailed billing information. A more reasonable approach is to lease Sentilla’s products based on a monthly fee, reducing adoption barriers and encouraging the customer to “try” their products. A recent report indicated that Sentilla is already offering their products at 25- 30 per month, including the hardware. In January 2009, Sentilla received 7.5M of venture capital funding, and announced a focus on the data center market. The main impetus for this strategic move is to use Sentilla’s software and hardware systems to satisfy the increasing need for energy efficiency in the data center market. Due to its limited capital resources, Sentilla is not able to initially pursue a diverse range of business strategies and are forced to focus strongly on a limited range of objectives at any one time. In order to leverage its technical prowess and capture market share in the immediate future, and foster healthy growth in the long run, Sentilla needs solid strategies and execution, as well as prioritization. We recommend the following course of actions to the management team of Sentilla in three time frames: near-term (beginning as soon as possible), mid-term (beginning in 12 months) and long-term (beginning 24 months). Sentilla should continue to focus exclusively on the data center market in order to maximize penetration in the ecosystem in the shortest amount of time. Focus of marketing should shift completely from the pervasive computing hardware reflected in the JCreate modules to the packaged hardware / software solution now offered by Sentilla’s Data Center Energy Manager. One of Sentilla’s possible primary short-term customers in the Data Center ecosystem is large scale Datacenter service providers. Due to the use of large number of servers, these customers have the greatest need and financial incentive to maximize energy efficiency. Telecommunication Datacenter service providers is a segment of the ecosystem that have particular needs which Sentilla is in an excellent technical position to satisfy. As opposed to competing integrated solutions offered by hardware manufacturers, these service providers would benefit greatly from the highly modular nature of Sentilla’s technology. This modularity is crucial in the service provider’s business model, consisting of dynamically changing clients and server demands. Since Sentilla is a start-up, it does not have the ability to leverage past clients and market successes when entering a new market. Sentilla must focus on building a strong brand presence in the Data Center market as soon as possible to proactively use as leverage in expanding its presence in the ecosystem. An urgent milestone in gaining credibility for future business in the ecosystem is to gain a highly-visible customer. Increased and focused marketing is a key component to gain these future customers. Sentilla should plan their marketing around the expectation that their major customer should be a Telecommunication Data Service provider for the reasons outlined previously. They are currently providing internal services to Sun Microsystems and are currently in negotiations with a large-scale service provider. Sentilla could gain customers by offering innovative business models and pricing plans that are more adaptable to customers’ needs than existing arrangements. Several options exist: offering discounts, revenue-sharing agreements, and product leasing. Flexibility, on an individual customer-by-customer basis, should be exercised to maximize market adoption /diffusion and resulting brand visibility. Preparing for mid-term strategies, Sentilla must establish individual visibility and presence with customers within the Data Center ecosystem. This visibility in the ecosystem is essential before partnering with much larger and influential hardware manufacturers can be realized. If this brand recognition is not established, the smaller start-up will not be able to leverage customer visibility to properly negotiate partnering agreements with more powerful and financially stable corporations. Given Sentilla’s position as a start-up, they should build strong partnership and strategic alliances with prestigious data center hardware vendors such as IBM, HP, Sun and Cisco and software suppliers CA and VMware, etc. Build credibility and underpin brand image in a short period of time. Leverage server vendors’ sophisticated production capability, vast distribution networks, extensive customer networks to rapidly gain market share, exploit economies of scale, and shorten time to market. Enable revenues growth, which will allow for further investments in R&D for both long term performance and process improvements. Complement its expertise to offer a more complete solution for energy management and control, and integrate its technology into mainstream server management solutions. Reach customers that may not bother with a startup and customers that want a “turn-key” solution. However, they need to avoid becoming only an OEM for large hardware manufacturer, especially in the highly competitive and low-margin server market. To do so, they should establish commercialization agreements with hardware vendors, avoiding getting their hardware/software solution embedded within a larger scale server system. Due to a number of factor conditions, going to Europe makes a lot of sense. Europe has more stringent governmental regulations such as the European Code of Conduct for Data Centers and the UK’s Carbon-reduction commitment, which create market for data center energy efficiency solutions. European countries generally have fewer energy resources than the US. As a result, they have tended to be more innovative in pursuing energy conservation opportunities, and may be more open to Sentilla’s offerings. This, together with much higher energy prices stimulates stronger incentives for energy cost saving. On the other hand, the environment awareness and green consciousness of the general public provides better demand opportunities. Moreover, it is very likely there are more lead users, and their experience and feedback will provide valuable inputs for product and feature improvements that will later become the critical mass. Hence, the pan European market is relevant, appropriate, and Sentilla’s technology and expertise are easily transferable. The short distance regarding cultural, administrative, geographical and economic aspects makes going Europe a logical next step for Sentilla. Power strip of modeled power solution that is less disruptive to existing architectures. Tiers of performance for the Energy Manager, with low end products that limit the number of monitored servers, more relaxed accuracy, as well as PC-based energy management software with reduced features. Different license durations such as permanent, annual, and monthly. Product with and without technical support. This new product family will prepare Sentilla for an eventual market commoditization and global expansion, which may take place given the amount of industry players. Data centers usually bill their customers a monthly flat fee, because of the difficulty to accurately assess the actual energy consumed. Sentilla can readily develop a multi-tenant software solution that takes advantage of the granularity and precision in energy monitoring offered by their existing technology. This software will provide datacenters service providers with a powerful tool to bill their customers based on their actual energy consumption. Customers will have a means to understand their power consumption profiles and undertake actions to minimize energy consumption. As of mid-2009, there is room for significant improvement to Sentilla’s product offering. As a data capture, analysis, and reporting tool, the Sentilla platform offers valuable information to customers to empower them to take focused actions to reduce their power consumption levels and costs. However, a crucial gap in the current product offering is that it relies on the customer to have some level of expertise in making appropriate judgments and then taking actions to implement them before realizing any savings. The value proposition to the customer for this platform would be significantly enhanced if it had the ability to self-implement actions based on the data it has collected. This “active power management” tactic may involve the re-distribution of processing loads to optimize cooling efficiencies or shutting down unused capacity during cyclical idle times. This ability gives the product a much more complete presence as a solution. As a turn-key solution, customers would no longer need to incur the expense of diverting managers’ time toward manual implementation of recommendations, nor would they need to purchase additional products and services to complete the task. Therefore, adding an active power management capability to the Sentilla product would significantly enhance the creation and capture of value. Since this ability is not part of the product, it will either have to be designed and built through R&D outlays, or acquired and integrated through a merger/acquisition. Therefore, this is a long-term move that cannot be feasibly implemented immediately. Because this is slated to become a key feature of the product offering and a critical part of the value creation and capture proposition, we would suggest avoiding a weaker strategy whereby the feature is not fully controlled, such as licensing it from another player in this market. A licensing approach would expose too many risks and uncertainties, and may leave the license provider capturing most of the gains. However, the licensing strategy option may be revised in the future according to the industry evolution. A large benefit to this approach is that it is likely the cheaper option, which is an important consideration given the very limited resources and minimal current revenue streams . The downside of this option is that this involves a core competency and expertise that Sentilla is not strong in (their original backgrounds lie in the pervasive computing arena), so it will take longer to complete. That fact gives rise to the risk that another player in the Green IT space—such as Power Assure—that already have active power management could innovate their own product during this time lag to include the missing aspect of functionality, which is the detailed data gathering that Sentilla offers, and so end up beating Sentilla with the premier turn-key solution and then dominate the market. This approach has the benefit of being much quicker to implement. This way, Sentilla could either acquire or merge with another market player who already has the active power management platform (such as Power Assure and Cassatt), then simply integrate that together into the desired turn-key product. Since this is a much quicker approach, it allows Sentilla to begin harvesting the value capture much sooner than would be possible from the R&D track. It is also a defensive move in that it removes a strong competitor from the landscape. The biggest downside is that it is likely to be expensive—Sentilla does not have enough current funding to complete a deal, so it will require additional funding from some source. If that funding comes from additional venture capital, it would further dilute the owners’ equity. If provided by a bank loan, it would increase operating expenses and overhead through financing charges. Another long-term concern Sentilla management should think about is an exit strategy. If operations are successful, an IPO could be considered to raise additional capital for strategic uses and to provide an exit for the venture capital investors. Alternatively, they could seek to become an acquisition target. It is important to note that none of the recommendations are static. Management should understand that the technological landscape and the business environment can change very quickly, so plans will need to be revised as conditions evolve.